What the hell is Disney Bounding and can it be practical? 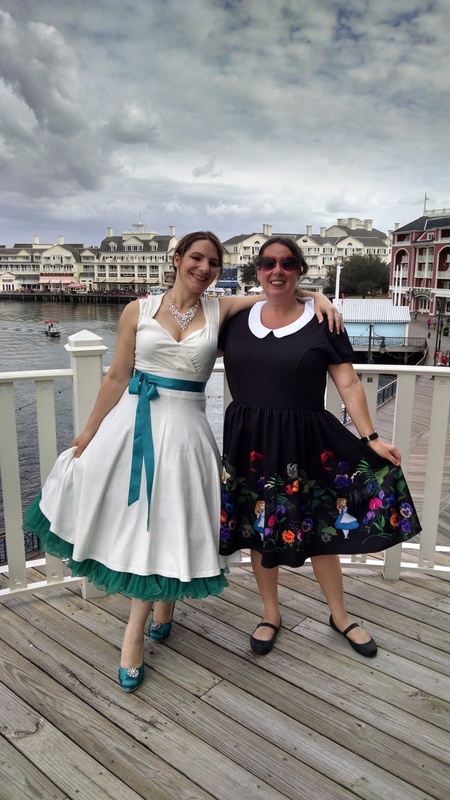 Me and Melissa at the Farewell Brunch at The Attic at Disney’s Boardwalk. I’m in my Alice in Wonderland Disney Bound. She made her dress herself! Let’s face it—we Disney fanatics love to play dress up. Disney Bounding—the art of dressing to suggest your favorite character without copying it directly—hit my radar shortly after, a few years ago, the Disney Parks didn’t want adults going to the parks in costumes that were too close to the “real thing,” which might confuse guests (truth be told, it was probably around way before that, but that’s when I became aware of it).